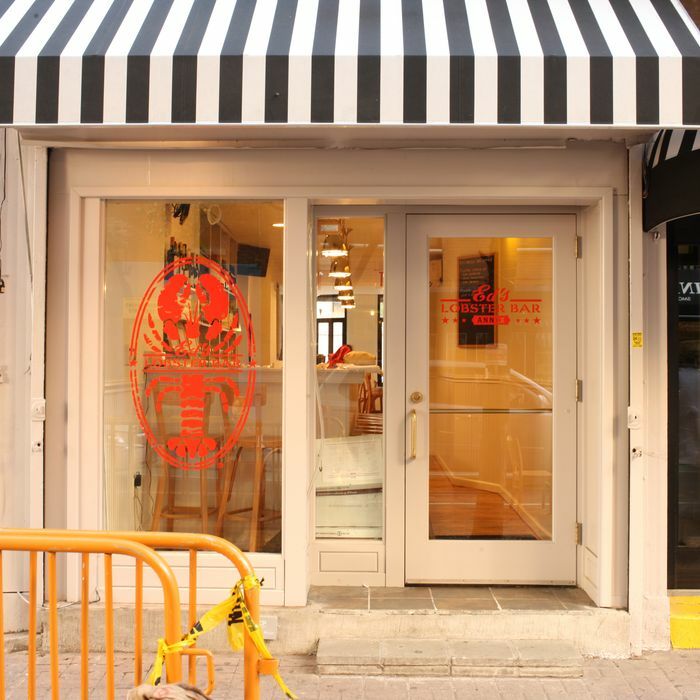 The Lower East Side bastion of culinary civility that is Clinton Street will get more good eating on Friday when Ed McFarland opens his Ed’s Lobster Bar Annex. Those familiar with his Nolita location will recognize the red lobster painted on the door and white Carrera marble — at this location there are two bars, an eight-seater up front and an eighteen-spot raw bar in back; there’s also a twenty-person backyard. The menu offers some Ed’s favorites spun as small plates, including lobster-roll sliders and by-the-piece lobster ravioli, while the raw-bar selection ranges from five kinds of oysters to Littlenecks and shrimp cocktail. Hours will be Tuesday through Thursday, 6 p.m. to 11 p.m., Friday and Saturday noon to 2 a.m. and Sunday till 10 p.m., with Sunday brunch beginning after Labor Day. See the menu below and scope our slideshow for a glimpse of the space and the food.